Monochromed themed restaurant menu design with food icons on the top of it. 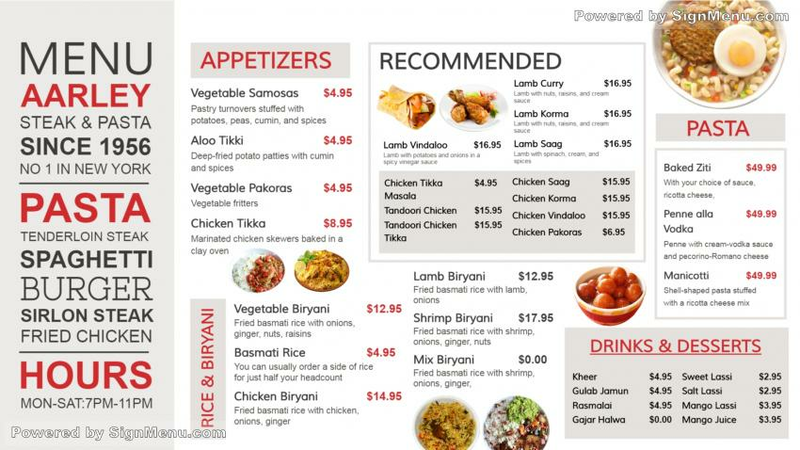 This theme is used as restaurant menu template. With light background and some colorful food images gives the menuboard a stylish look. The menu board is ready for edit and download.